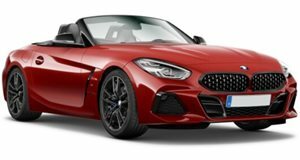 German tuner Kelleners Sport has put its perspective on the BMW Z4 sDrive35is without taking away from the car&apos;s natural beauty. Some of the features of the new tuning kit begin under the hood. The 3.0-liter twin-turbocharged inline six-cylinder unit will be getting a boost with an increased output of 400hp and 398 lb-ft of torque, up significantly from the already solid output of 335hp and 332 lb-ft. The interior will feature aluminum pedals mated with velour floor mats and a three-spoke sport steering wheel. The inside is fitted with leather along with a variety of wood trim choices that are also available upon request. The wheels are available in either 19- or 20-inch dimensions with the option of Berlin or Hamburg rims. No pricing has been announced.